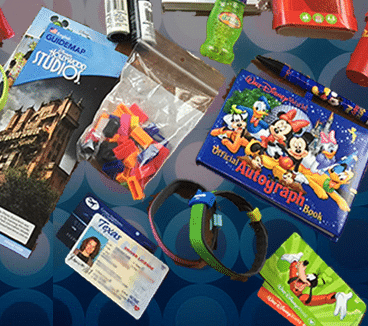 Disney World days can be long, so what should you pack in your Disney World park bag to make sure you're prepared? Having several essentials on hand can make your days much more enjoyable. Does Disney World allow bags on rides? Can you bring your own food to Disney World parks? 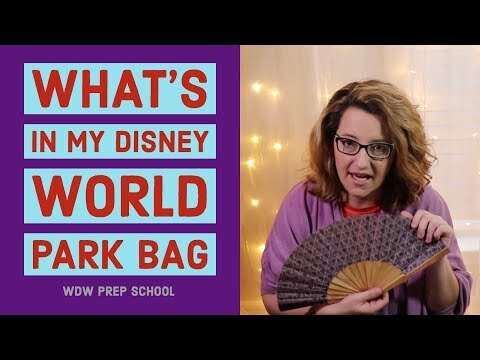 What's the best bag for Disney World? I'm not a minimalist packer. I like to be prepared and have all of my stuff with me. I often take a backpack into Disney theme parks because I like having all of the things I could need available to me at all times. I used to even have a separate packing list just for my park bag because there were so many little items that I didn't want to forget. Yes! Disney allows you to bring your bags on all rides so you don't need to worry about what to do with it while you ride (however, Universal provides free lockers that they require you to use at many of their rides which means an extra stop going in and out of those rides and it's kind of a pain). You definitely can. Pack a whole lunch, if you'd like. Just don't bring alcohol or anything made of glass. 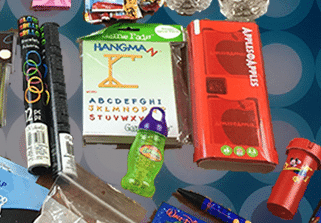 In this post, I'm showing a backpack to accommodate this number of items, but smaller backpacks or crossbody bags are another good option if you still want to carry some essentials. When I'm not carrying a backpack, I'm using this crossbody bag which fits lots of things, but is more convenient to have in front, especially if you want easy access to your phone or other items you might access frequently. Heat, rain and sun are huge factors on most Disney World trips. During some months, chilly morning/evening temps could also be an issue. Ponchos and/or an umbrella. Ponchos are more convenient and can easily cover up you, your bag and a stroller (if they're big enough). I bought ours at Disney World and just keep packing them to take back each trip. Spray misters. When it's hot, something to keep you cool can come in really handy. If it's not summertime where you live, you might want to order these online or they're available to buy at Disney World. Sunglasses. I'd also recommend a sunglass strap, just in case. Mini-first aid kit - you can make your own little kit with some Band-Aids, itch/burn cream, ibuprofen, etc. There are also first aid stations in the parks with some of these items available. Many or most people rely on gadgets for their trip, especially since so many of the details are managed through the app. An external battery charger with charging cords - phone batteries drain so, so quickly at Disney World so bring an external charger, just in case. This is an affordable, powerful, and well-reviewed option on Amazon. 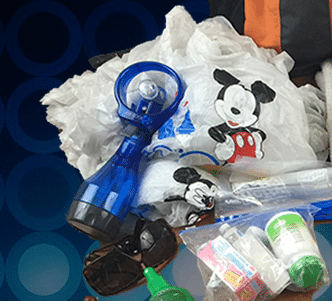 Without these, you won't make it very far in the parks. Bitbelts - I started using these after losing my MagicBand during a trip. WDW Prep readers get a 15% discount when using the code "wdwprepschool" at checkout on the Bitbelt site. I recommend the wider bands for the regular-sized MagicBands and the junior bands for children who will be using the inside of the MagicBand (not sure what size your child will be wearing? Wait until you receive your MagicBands and then order Bitbelts that fit). Autograph pen - the characters prefer larger pens or Sharpies (bonus points for retractable Sharpies which are a really good option). Although I hope that you won't end up waiting much, it's always helpful to have things for kids to do while waiting for the parks to open, in line at an attraction or for food to arrive. Coins for pressing - cheapest souvenir ever and it's fun for kids to look for machines. The containers pictured are ones I created out of pill bottles because the mini-M&M containers are often way too big for us. Glow sticks - fun to use at night. I usually pick some up at a dollar store and bring extras to hand out to othe kids who are waiting for a parade or nighttime show to begin. 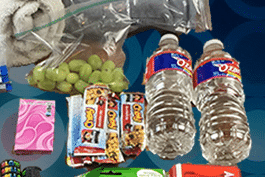 Make sure you stay hydrated and have some snacks handy for between meals. Bottled water - I used to carry 1 around per family member but that got too heavy so now I carry one and refill it in the fountains or in restaurants. Towel - used to wipe off a seat, sit on during parades, etc. I usually just grab one from our hotel room. Many/most of the items listed above are available in the WDW Prep Amazon Shop, so be sure to check that out to save yourself time running around to different stores. Of course, if you don't want to take a full-sized backpack into the parks, you could cross things off this list and fit your stuff into a cinch-style backpack or purse. 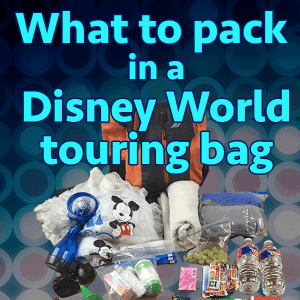 What other items would you put into your Disney World park bag? In your video you show your Haunted Mansion folding fan. I am having trouble trying to find where to order one for my friend who really liked yours. Can you point me in the right direction? Thank you. ? A group of 7 of us just came back from WDW on May 6, 2018. The five adults each carried a bag, backpack or messenger bag. Must haves were good footwear, ponchos we bought at the dollar store before we left and cooling Chilly Pad towel, which was great for cooling off while walking in the very hot sun or standing in line. They sell a version at WDW or I also bought an extra with a different name at Walmart for roughly $6.00. Must have item. Although you said bug bites are rare, I’ve been bitten many times on summer evenings by mosquitoes in both the Magic Kingdom adventureland area and in the winter land summerland mini golf course. Bring bug spray wipes that won’t melt or leak. I’ve also been bit by a bee on the rafiki planet watch train in the animal kingdom and found it simpler to just go to the first aid station in the park for that. Good one! I wouldn’t have thought of that and I am so glad you commented! Now it’s on my list! Great article. So if you bring a fairly large backpack on a ride with you, what do you do with it when you are on one where you have be tucked in pretty tightly? Maybe turn it around to the front of you? or strap it around your feet/legs? Great suggestions! I prefer to carry a cross-body messenger bag for easy access to everything I need. Be sure to use RFID blocking sleeves for your credit cards/debit cards if you don’t have an RFID-blocking purse or wallet. If you’re staying on-site, why not just charge everything to your room so you don’t have to carry cards? 1. I like to carry a mini composition book (dollar store) to jot down cute things the kids say, great ideas I have while at the park, and other things I don’t want to forget. 2. Add a book of stamps so you can drop your Disney post cards in the box on site. I have been with my daughter a few times to Disney and she always carries a backpack. In 2016, myself, daughter, her husband, and two grandkids. Ages 3 and a 20 month are going on the land and sea trip. So we are having to pack for two events. Any suggestion for the cruise and the park. We will be at sea for 4 days, 3 nights. Then we will come back to Disney to stay for 4 days. I love all the ideas that you have posted and will use them. We did the parks then Disney Cruise in 2014 and I’ll share with you the invaluable tip I received: I packed for each part of the trip, and left the extra luggage packed up up while on the “other” part of our trip. My husband and I shared a suitcase for each part of the trip, and so did the kids. Two large bags and two carry on sized bags for the whole trip. Fantastic!! I also prepackaged the kids’ entire outfits in large ziplock bags (only excluding tennis shoes), so dressing at any one point was a breeze! It also made it easy to grab a complete outfit to take at any point where an extra might be needed (weather changes, soiled, etc). Omg thank you for this advice! I have 4 little girls and we leave in 12 days. I will use this Baggie idea for sure!! I’ve been to Disney World several times as a child and always had my parents, the vacationer pros always with everything we need. And like in most cases my dad was the human pack-mule. We’re going back but this time it’s only going to be my friend, parents and I going. So for this trip I bought a really nice hobo cross body bag from target that only costed $20!! Bonus. IMPORTANT NOTE: Deodorant and chapstick WILL MELT believe me, so be careful when applying or keep in a cooler location if possible. We kept our quarters and pennies for the pressed penny machines organized (1 penny on top of 2 quarters then repeated) in empty M&M mini canisters. Perfect size and we had plenty of coins for two days worth of parks! NO! Don’t pack perfume, and don’t wear it. Please be considerate of those around you. Your vanity is not worth the health problems suffered by asthmatics, people with anaphylactic allergies, migraine sufferers, and those with sensory issues. When we went a few years ago, I made i.d.s for each of the kids. It had a pic of them with their current age, height and weight. On the other side, it had pics of me, my mom and my brother, with our contact info. I laminated them, so they would still be good if they got wet. Each of the kids wore their own on a lanyard. Each of the adults carried a slightly longer one with all of the kids pics on it. I got lots of thumbs up from the characters. I LOVE your idea! I’m totally doing this. Thanks! I did a similar thing, only used the card holders with the ziploc zipper on them and kept our Disney cards and my ID in mine. It was really helpful when it came time for fast passes because we didn’t have magic bands! I also felt really good knowing if the kids got separated from us, a responsible adult could help call us quickly (we directed them to head straight to the closest CM if we got separated). I just ordered the customizable MagicYourBand skin ($8) for my son’s MagicBand. I put a birthday greeting on one half (for a memento with date) and our cell phone numbers on the other half. These are waterproof already, so he can even have it in the pool. I don’t like to carry anything on me at Disney except a small bag I hook to my belt loops for my cash, cell phone, and small things I can’t live without or of value. Since my children have outgrown the stroller I have modified an old smaller light weight stroller. A large bag containing all the things we need including a small soft sided cooler sits and is hooked onto the modified stroller that can be parked when on a ride. It is easy to move about and is much easier than a heavy back back causing me to sweat all day. No one has ever bothered with my stuff on my strollers so this is a much easier option for us. It helps tremdensly when you are an over packer like I am to have everything you need without the stress of lugging it around all day. And to my list I add an extra pair of shoes/flip flops to switch out during the day. That sounds like a great idea! I wonder if we could get away with using a dog stroller for that purpose. Don’t forget Chapstick or Lip Balm. My children desperately needed some and we couldn’t find it in any shop. Great info! Wow, my family packs light in comparison, but we don’t have toddlers/small children. I have a fanny pack (yes, I realize it is not fashionable…) that holds a large point and shoot camera, a small ziplock baggie with first aid items ( band aids, moleskin, Neosporin with pain relief cream, hydrocortisone cream), a small ziplock baggie with benedryl, aspirin, acetaminophen, etc), extra batteries and SD card, 4 rain ponchos from the dollar store, chapstick, cash, ID, and credit card bundled with a rubber band, change for penny souvenir machines, and sunscreen in stick form. Hubby carries an extra sunscreen stick in his pocket and a cell phone and wallet. I have on rare occasion used a cross body bag if we were carrying autograph books and click sharpies, and/or an change of clothing for a smaller child. I really have no desire to carry a backpack at anytime, but especially in the heat. I personally would never allow my credit card to be linked to my magic band. This summer we might carry the sport cooling cloths, but everyone can just wear that around their necks. I have considered ditching the fanny pack on our next trip and dividing up the items among family member’s pockets, but I do like to have a place to put my camera. Hi! What about using a piece of rolling luggage as a park bag? 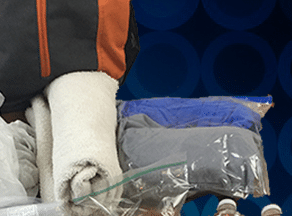 We tried it at Sesame Place and it worked great for all those non-valuable items (clothes, towel, snacks, water). Has anyone ever tried this? We would park it at the exit of the ride before getting on. No one ever bothered our stuff there, but this is out first trip to Disneyworld. According to the Disney website suitcases with wheels are NOT allowed. There are also restrictions on the sizes and types of coolers. When we went to Disney 2 years ago, I brought a backpack on wheels because I didn’t know the rule and I have a bad back. Having never been to the parks, and going it alone with a five year old, I was afraid of not having everything I needed, but also afraid of hurting my back. Money was a lot tighter then, so just buying what I needed at the park was not a viable option. The rolling backpack was a nightmare. People know to look for strollers, but they don’t pay attention for a rolling bag. It only took two nearly people tripping over it before I realized I needed to carry it. Carrying a rolling bag is a lot less convenient than a regular backpack, so I would have been better off with a standard backpack, which I did not bring. Now that I am planning our next trip and I know what to expect, I am realizing that there are a lot of things a person can do without for the time spent in the park and the rolling bag really isn’t necessary, if you plan carefully and especially if you have kids who can carry some of their own stuff. I plan to give my (now a 7 year old) daughter a cheap drawstring bag with our snacks, her poncho, and other items that wouldn’t create chaos if she lost the bag. Great post! I found a bunch of cinch bags on Amazon that are Disney themed. I got 4 bags for $28. cant wait to start packing them for the park! I bought two extra cell phone batteries to carry with me so i don’t have to stop and charge my phone, and since my husband and i don’t tolerate heat well we have a cooling cloth that you “snap” to activate. They are usually found in the sports equipment section. i stopped carrying water bottles when I found out that you can get free ice water from any venue that sells fountain drinks. That’s a huge $ and space saver, plus the water is cold. Hey! I love these ideas. I’ve been going for a while and always manage to forget something 😛 I was clicking through the links and just wanted to let you know the bitbelt link is broken so you might want to update it! Thanks again for the great ideas!! Thanks. Looks like he changed the structure of the site so I just updated the link so it’ll work again. We ordered some personalized cinch bags off etsy and each family member carried their own. Even the 4 year old had NO problem carrying and keeping up with his bag which had a light summer change of clothes, poncho, water, snacks, coins for pressing, hand sanitizer, gum, sunglasses, and glow sticks! The kids got by fine with the smaller 14″X18″ bags and my husband and I carried larger 17″X20″ size. 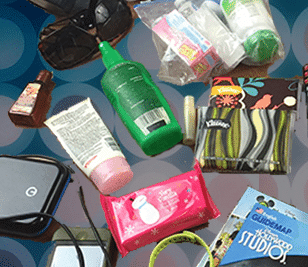 We had a little more to bring like the sun screen and comb for pirates league makeovers. Also in health related don’t forget chapstick and for that park water we LOVED the squeeze koolade because we weren’t crazy about the taste. Do you remember the Etsy seller’s name you ordered your bags from? I have looked everywhere locally for cinch bags and can’t find any. I think that’s awesome. Maybe keep in mind that having your childs name displayed can possibly be dangerous. Initials are a great alternative. Another tip all full service restaurants in disney offer free cups of water! You no longer have to carry a bottle of water with you. If you do like the comfort of knowing you can grab a drink while in line you should brink a water bottle with a filter since the parks are filled with fountains. Having your own charger means you don’t have to stop which I love. Love your park bag post. Went to the bitbelt site…yikes! They need some webpage design help. I tried to order and was extremely confused. Your coupon code worked perfectly though. Lol. Just decided to go to Disney the first week of November. No plans even started yet. I will definitely be using this list. What kind of bag do you use? There’s so much stuff on this list, and I agree they’re all needed! Great list. i like to be prepared also. I always have a back pack. But i also use an inexpensive umbrella stroller even if i dont have the grandkids with me. It saves on my back and shoulders. I have seen others do this also. Dont feel silly for using a stroller. Nobody cares and nobody knows if you are alone or if your kids are on another ride. I dont mind the extra steps it takes to pick up my stroller after each attraction. The stroller is great for carrying a small soft sided cooler for cold drinks and snacks. The stroller makes a great pack mule for jackets also so you dont have to run to a locker when you need something. Be sure to bring a rain cover for it to protect your things from getting wet and also to make your things less accessable to thieves. I dont leave anything of value in the stroller. At each ride i just grab my back pack and go. So much easier for me this way. I’m a woman of a certain age and the heat really bothers me. On previous trips, I’ve always carried a washcloth and zip top bag with me. Just wet it and instant relief. On on my next trip (Spring 2015), I’m gonna try one of those fancy schmancy sports cooling towels. i bought those fancy towels too and I am going to test it out in the park soon! I can’t take the heat even before the real heat gets here. I use a backpack but I have 2 little ones and a stroller. Medication! Any prescription meds your family needs during the day, and a couple extra OTC meds such as Tylenol/Advil, to use in case of a headache for instance. For my daughter to pass the time while waiting in line: a mini doodle. It doesn’t take much space in the bag and keeps her busy! We love the Britta water filter bottles! We do not like the taste of FL water and these filter it and it tastes great! We get a free cup of ice water at counter service while ordering lunch (besides what we have with the meal) and we’re set till break time. When it’s very hot we carry a frozen wet washcloth for each person in a soft sided lunch cooler using a frozen bottle of water to keep it cold. It’s kept in a ziplock bag and its a great way to cool off while your waiting for the bus back to your resort. My grandchild loved it. If you don’t have a freezer in your room, you can use ice in the bag. Something that I always make sure to have is a Tide pen. I hate stains from a missed mouth. This is a great list! We are just starting to pack for our trip so this was very helpful! Great list!!! I have started packing a cheap (from Walmart) clear shower curtain liner to cover my stroller. It covers the entire stroller and little legs. The little weights in the liner help keep it from blowing off (a little), and I can use it to cover either my single or double stroller! We have used ponchos in the past and they really helped in a pinch, but then we needed two for the double, there were gaps that still allowed water in, and were just not as convenient. I also bought a new camera bag before our trip in September. I purchased a back-pack style bag that holds all of my gear plus my park touring stuff–including most everything on this list and diapers, sippy cups, baby toys, etc. In the past I always carried the camera bag and my husband carried the back pack. It was sooo nice to only have one bag to keep track of!! Plus they are usually water resistant and contain electronic foam to help protect other electronics and/or phones on water rides and so on. Thanks for all of your great advice!! Try using chip-clips to hold the shower curtain in place on the stroller. We put our water in a soft-sided cooler with an ice pack under the stroller to help with carrying. Also, we bring clothespins and clear ponchos from the dollar store to cover our stroller. We got some crazy looks with our clothespinned stroller, but it worked. We tried a more sturdy poncho, but it made my three-year old’s view cloudy, and she did not like that! The clothespins held the poncho in place, and helped to close the hood and arm holes. We also brought a portable potty seat for my daughter, who is just well potty trained. It was a lot easier to place it over the toilet and a quick wipe-down with wet ones than it was to talk her into sitting on a toilet seat with a paper cover! I can’t do backpacks. I use a cross body purse and it’s easier. I tried using a backpack this summer at Six Flags, biggest mistake of my life. My back was wet with sweat and I had to stop every time I needed something. With my cross body, I can walk and get what I need. I have system like you do for parks but we were traveling all over CA and I thought the backpack would be easier. Glad I tried it out before our next Disney World trip! Thank you for this great list! I also plan to bring my camera, can’t live without it. And lip protection with SPF is a must for us too. For our trip to Orlando we all purchased camel back ‘mule’ hydration packs. They are the perfect balance of size and function. They hold up to 3 liters or water. Iced water lasts all day or until you drink it. I always bring wipes! Its great if you need to clean up a mess like melted icecream or if you just need to freshen up! We always take an umbrella stroller – even though our son is too old for it – to drive around our backpack! (We get a few weird looks but it’s much easier than carrying the backpack all day.) 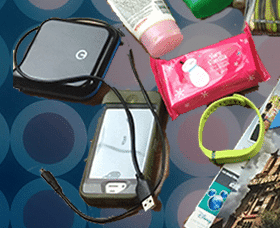 A fanny pack will hold your valuables (camera, phone, etc.) while you leave the stroller by the rides. We pack actual food for Disney (sandwiches, etc) in a small soft-sided cooler with frozen water bottles as “ice” – great in the summer! Much cheaper than Disney food. We also pack floppy hats (because they crush) and swimsuits and extra socks instead of full outfits. (Wet bottoms and feet are the worst. Shirts usually dry.) Extra plastic grocery bags and ziplocs are a must. 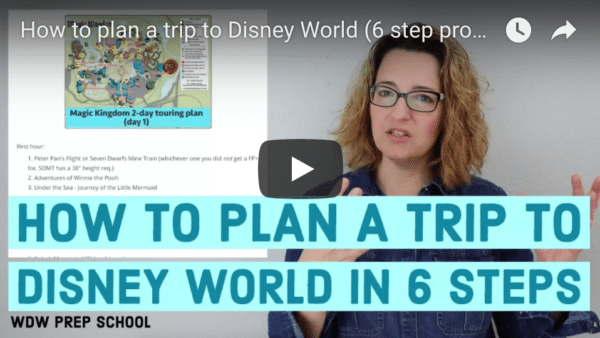 After traveling with our family of 7 plus extended family several times to WDW, we have a few things that we like to pack in our bag in addition to many of the things that you listed. We like to have the powdered drink packages to add to cups of water (the squirt type work well too). We also like to include mole skin (pre-cut into several sizes) to help with blisters. Caribeaner hooks have also come in handy to attach extra junk to the stroller (bags, water bottles, etc.). Also, a comb or travel brush to help deal with unruly hair after coasters or wet rides can be a big help. If you are a contact lens wearer, rewetting drops can provide relief when your contacts have been in a little too long. Lastly, chapstick with a sunscreen in it is a must for us! I’d love to know what type of bag you recommend to put all this in. Backpack, cross-body bag, etc? Thanks! I personally agree with the bug spray one. When I went to WDW, I got more bug bites there than I did at home, and I live in the NJ wilderness. I don’t know if this is how it is for everyone ( I am known to be a magnet for Mosquitos) but just giving you a heads up. Since you mentioned the Universal issue with bags, I thought I would quickly mention that we were just at Sea World and no bags are allowed into the ride and you have to pay for a locker to store the bag if needed (I think they were one time used lockers also, but not sure because we just swapped riders instead.). Great list! Thank you 🙂 I have also found that these little mini-trash bags and holder are a great addition to any diaper bag or backpack. I have used them for many other things besides disposing of diapers. Love this list!! Was just thinking I needed to put together a list to add to my overall packing list. I think a baby towel might be better to take than the hotel towel because they are so thin. They’d take up less space. Also, another list I found was a tarp from the dollar store to use to sit on if the ground is wet or muddy and/or to cover your stroller. I’m not sure how big it is or if it would take up too much space in a backpack, but I’m sure it would fit fine in stroller storage. A cheap poncho would also work though I presume for the same things and be a smaller option. I didn’t know that Universal makes you stick backpacks in lockers before you ride – super annoying, but good to know! Also, for cell phones, I’ve found that if you keep it in ‘airplane mode’ during the times you are not actively using it, you’ll get through a good portion of the day. And, since you can still take pics in airplane mode, it was not a big nuisance or anything. Tom, Universal does that for the roller coasters where your feet dangle and you go upside down. There is no way to wear a bag or backpack and be safely secured in the ride seat. The lockers are free. Going to Disney soon and all lists/suggestions are awesome!! Thank you!! Another tip… If you put your iPhone in airplane mode while charging, it charges faster. Also, if you happen to have an iPad, the plug part of it will charge your iPhone faster. And since it’s USB on that end, it works for both iPhone 4s & older as well as the 5s & newer.